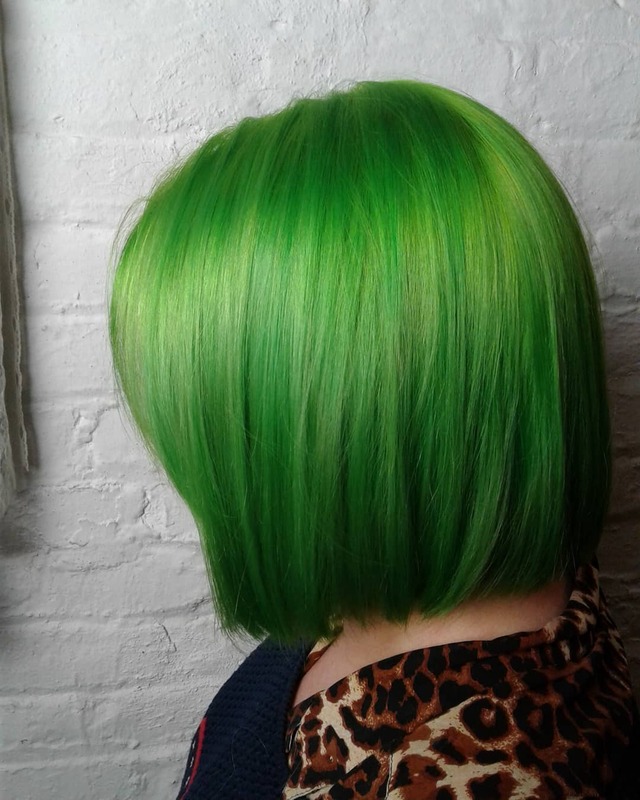 An electrifying green on this precision bob both cut and color by Kristin Jackson. One of our favorite ways of preserving color is by using Viral color depositing shampoo and conditioners by Celeb Luxury. One of my top tricks is washing hair in cool water not only does it give great shine to your hair but invigorates the skin. Washing in hot water is a color killer, it opens the cuticle and causes the pigments to fall out and down the drain. Cool water seals the cuticle preserving color, keep in mind cool water rinse and repeat! 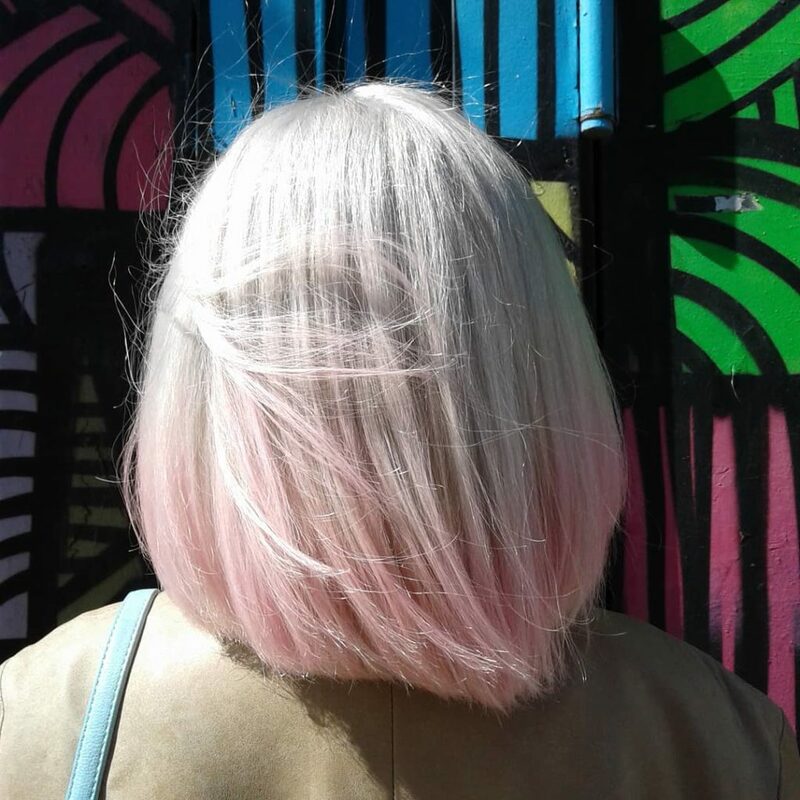 Kristin melted the perfect icy platinum blonde into a soft and muted pink. To get color this white takes time. All of these images are on double process hair. 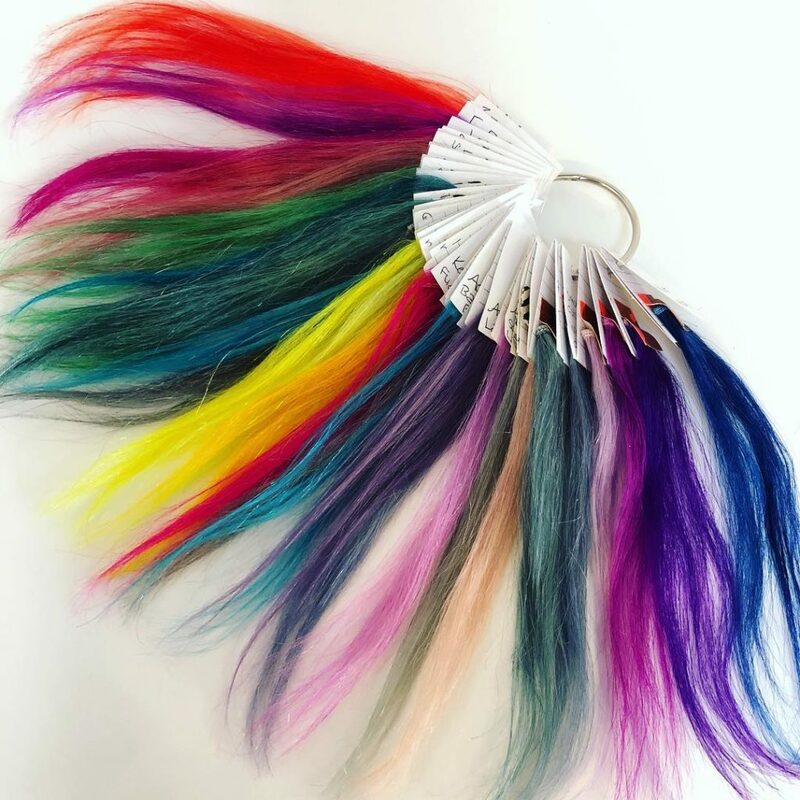 Hair is lightened to a yellow and then toned to customizable shades from butter blondes, rainbow colors or platinum. Vibrant creative colors are the most forgiving and can blend away even orange tones. To keep pastels and blondes you want to come in every 6-8 weeks for root touchups. Fiona Beardman did a bleached butter blonde panel and demi permanent black to make this mullet really stand out. 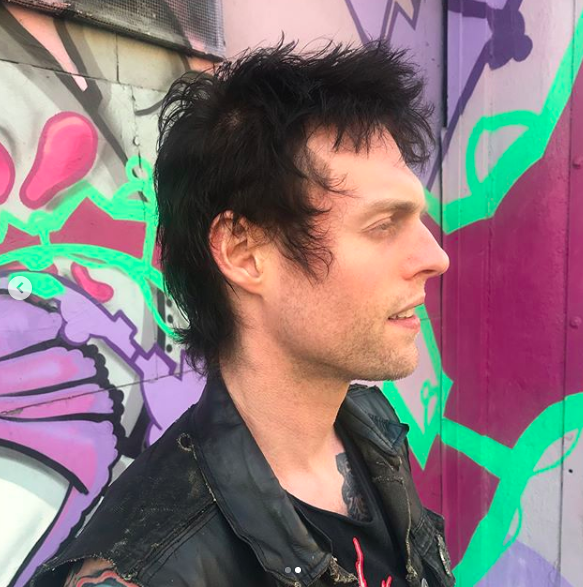 same guy different side. Fiona used demi permanent natural black. 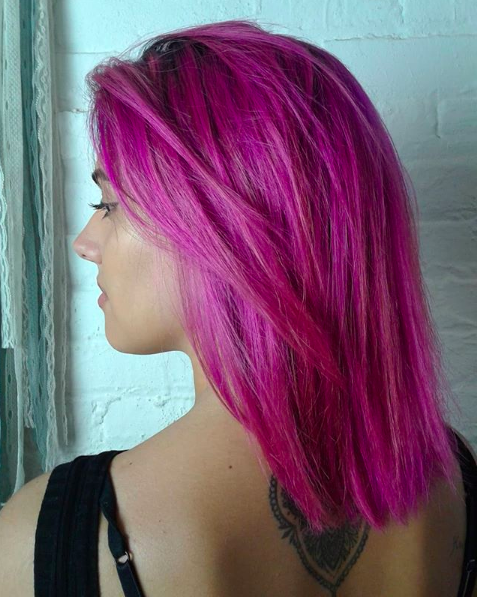 Our Junior Stylist Fiona is now taking color appointments at a discounted rate of 30% off. Fiona is available for glazes, single process color (matching color, going darker or 2 shades lighter) and double process roots (1 inch of roots or less). You must first book a consult to determine service, price and how long it’ll take to make your hair dreams come true. 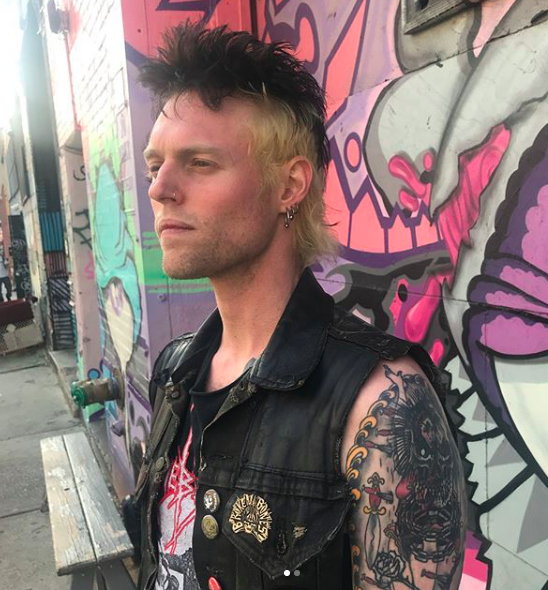 This entry was posted in Uncategorized and tagged barber, bleach, blondehair, brooklyn, bushwick, creativecolor, doubleprocess, greenhair, hairsalon, pinkhair, williamsburg. Bookmark the permalink.